The best 125cc sportsbike gets a radical redesign and VVA for 2019. Ever since Yamaha launched their R-series styled entry-level sportsbike a decade ago it’s loitered menacingly at the top of the sales charts, and at McDonalds drive-throughs. What has made it so popular is its highly successful blend of sharp big brother-aping style, roomy proportions that flatter the ever-expanding size of an average human, great handling and the best engine performance you can expect from a simplistic 125cc road bike. But just look at this new one. 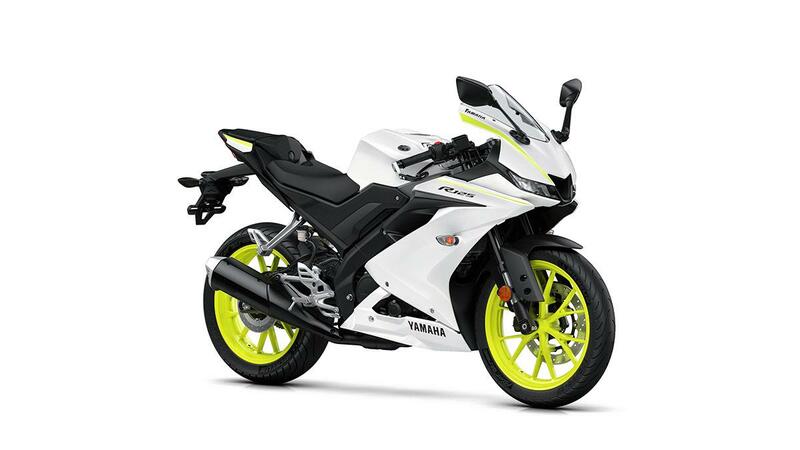 The Yamaha YZF-R125 has evolved, and it looks utterly stunning. It might even be gorgeous enough to tempt fidgety 17-year-olds out of their shonky Fiestas and on to two wheels in 2019. This isn’t just a facelift and tummy tuck, though. Beneath those sharp but sinuous fairings is an all-new liquid-cooled 125cc 4-valve single that also now boasts Variable Valve Actuation (VVA), which optimises the inlet and outlet valve positions to improve the engine’s power and torque characteristics across the whole rev range. In essence, it’s filling in the midrange without hurting its top-end delivery, meaning a bit more poke when you need it, without having to permanently flirt with the redline. The 4-valve head is also all-new with larger and shorter valves and a squatter combustion chamber, which Yamaha say delivers a more efficient burn – generating more bang from less fuel. 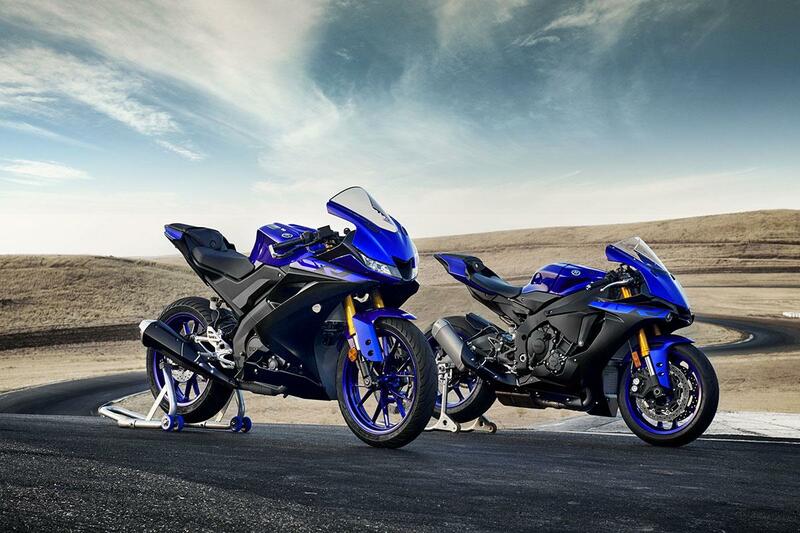 This is all supported by a new, redesigned fuel injection system and a larger throttle body and improvements in cooling efficiency that have also allowed Yamaha to use a smaller radiator. A next-gen Assist & Slip clutch makes for featherlight but positive clutch action, and allows for downshifting hooliganism. Wrapped around the mill is an all-new Deltabox chassis with revised geometry that Yamaha claim will give more stability and control, but not at the expense of its sporting pretentions. There’s a new aluminium swingarm, that’s also shorter and lighter than the previous model’s, and holds a wider rear tyre (now a 140/70-17, up from 130). The multiple cut-outs in the top yoke are a nice touch, too. The seat is a bit more padded now, the bars more splayed and flatter, and the 11-litre fuel tank reprofiled – all in the name of seeking comfort and versatility for a wider range of riders. There’s also an attractive new LCD dash with a bar type tacho and large speedo and all the information you’d expect – while they’ve sadly not gone as far as adding teen-friendly multimedia connectivity. Now a decade old, the YZF-R125 was a revelation when it buzzed out into the daylight back in 2008 boasting sharp R-series looks and racy paintjobs. Designed to hook the kiddies on the R family and eventually drag them through to an R1, it’s been delivering carpark kudos since birth.